Recently released from prison, Jimmy (Reynor) hopes to reconnect with his younger adopted brother, Eli (Truitt), and estranged father (Quaid). But after a run-in with a vengeful criminal (Franco), Jimmy and Eli become fugitives with one hope for survival: a metallic box from another dimension that transforms into a superpowered weapon and leads Eli to discover his true identity—a hero destined for greatness—in this thrilling action-adventure with a sci-fi twist. 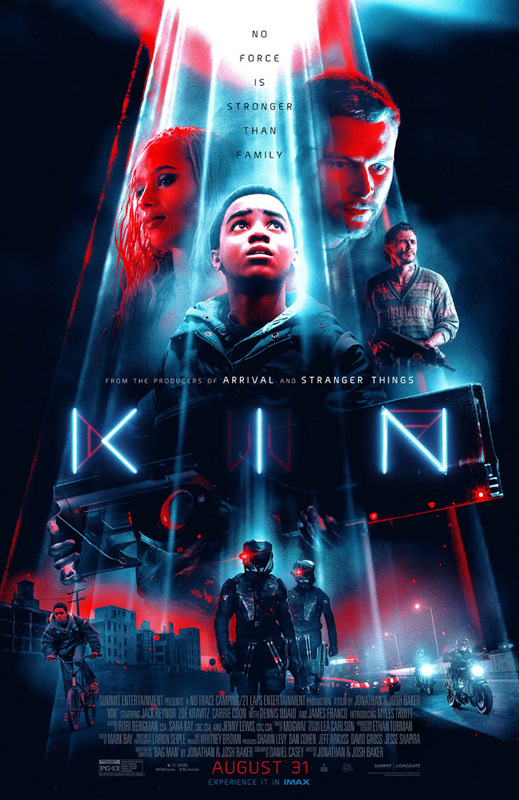 Take home KIN and experience over 5 hours of special features, including an in-depth conversation between co-directors Jonathan and Josh Baker and respected filmmakers including Dan Trachtenberg (10 Cloverfield Lane), Daniel Kwan and Daniel Scheinert (Swiss Army Man), Laurent Bouzereau (special features producer, Jaws, Back to the Future, Ready Player One) and Kevin Smith (Clerks, Chasing Amy, Tusk) that looks back at the legacy and importance of special features for aspiring filmmakers. The release also includes an 8-part documentary, 10 deleted scenes, the original short upon which the film is based, and an audio commentary with co-directors Jonathan and Josh Baker and screenwriter Daniel Casey. Experience four times the resolution of Full HD with the 4K Ultra HD Combo Pack, which includes Dolby Vision HDR™, bringing the stunning cinematography of this out-of-this-world sci-fi film to life. When compared to a standard picture, Dolby Vision can deliver spectacular colors never before seen on a screen, highlights that are up to 40 times brighter, and blacks that are 10 times darker. 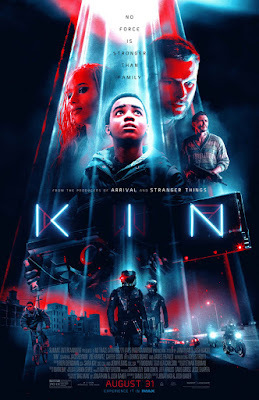 The KIN 4K Ultra HD Combo Pack, Blu-ray Combo Pack, and DVD will be available for the suggested retail price of $29.99, $24.99, and $19.98, respectively. - “Learned Behavoir: Special Features at Work” hour-long round table discussion between Jonathan and Josh Baker and reknown filmmakers including 10 Cloverfield Lane director Dan Trachtenberg, Swiss Army Man directors Daniel Kwan and Daniel Scheinert, legendary special features producer Laurent Bouzereau (Jaws, Back to the Future, Ready Player One) and special features godfather Kevin Smith (Clerks, Chasing Amy, Tusk).